This book is the second volume of the "Projeto Nidularium". The first volume was Canistrum - Bromeliads of the Atlantic Forest written by Leme and published in 1997, while the third volume was Nidularium - Bromeliads of the Atlantic Forest. Collectively, these volumes constitute a major taxonomic revision of the genus Nidularium and related species. The book has 143 pages and over 150 colour photographs. 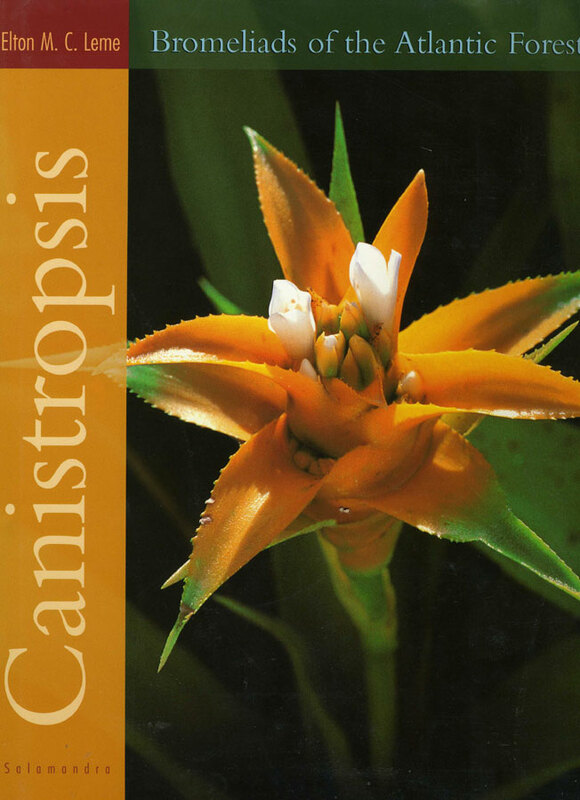 Detailed botanical descriptions, as well as a commentary on their distribution and habitat, are presented for 12 Canistropsis species, and 16 Neoregelia species. A photograph of a flowering plant is provided for each species and, in many cases, a habitat photograph as well. This book contains the first published botanical description of quite a few of the species. While many of the species are of limited horticultural significance, some are very attractive. Examples include: Neoregelia rubrovittata, N. menescallii, N. arevedoi, and N. kerryi. The second part of the book consists of several chapters on a number of botanical attributes which can be used in the taxonomic classification of bromeliads. These chapters have been written by specialists in these fields. Attributes covered are: leaf structure, pollen morthology (shape/size), and stigma morphology. Photographs of the "type specimens" used to botanically describe the plants, and line drawings of their key botanical attributes, then follow. A comprehensive list of references and an index complete the book. While some readers may find the second part of the book "heavy going", it is worth persevering, as you gain an insight into the issues associated with botanically-classifying bromeliads. However, the book is well worth reading just for the descriptions, and photographs, of the Canistropsis and Neoregelia species covered in it.